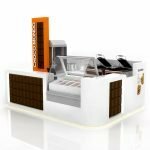 This is a different concept for a chocolate kiosk in a mall , We have seen much different chocolate related business counter in mall, likewise chocolate fountain kiosk, hot chocolate bar, chocolate ice cream, etc. 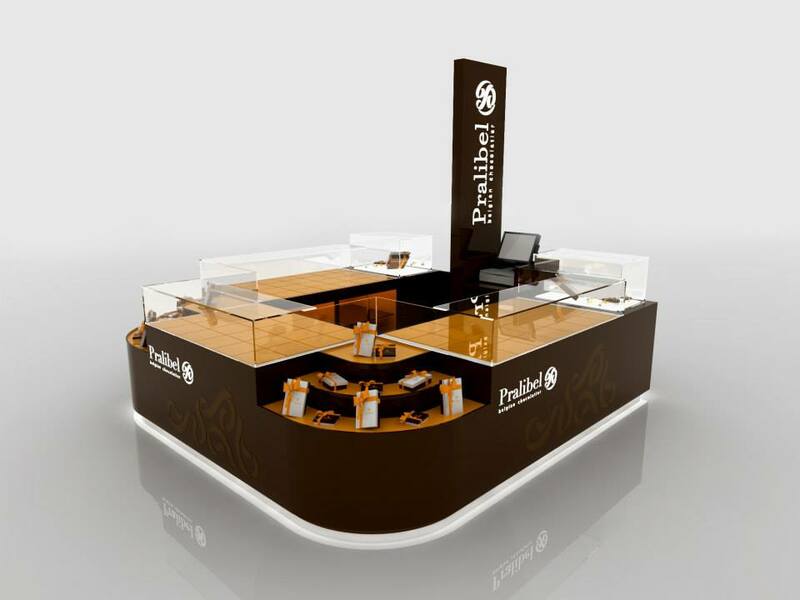 But here today display very nice ideas for chocolate business. 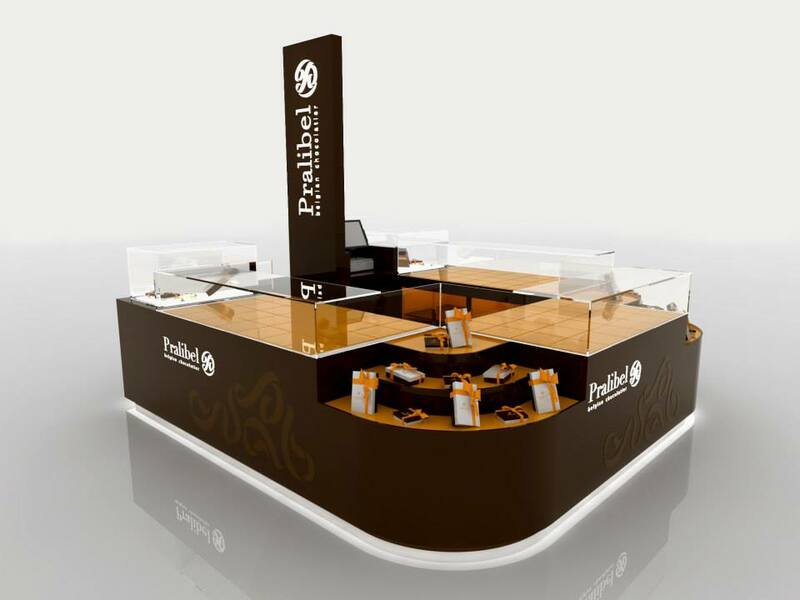 It may give you a good hint to start a fresh business idea: Prepacked chocolate kiosk for gift kiosk stall in mall. 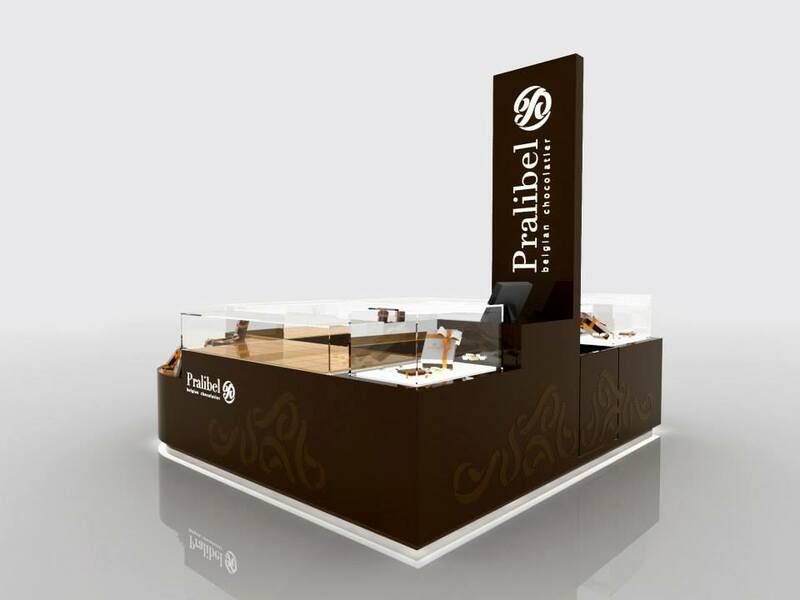 Similar to many retail kiosks, the gift kiosk must have a display showcase and display stands for prepacked chocolates, The whole kiosk color theme is in dark brown to give a feel of real chocolate color. The top part of the gift kiosk is glass display showcase with led light around the top. While the bottom part is built with storage cabinet to make a stock. Logo Pylon and cash till are integrated inside the kiosk. If you need any furthermore customized element. We can add for you. Why chocolate kiosk so popular business in a mall? Unique Kiosk is mall used retail gift kiosk manufacturer. 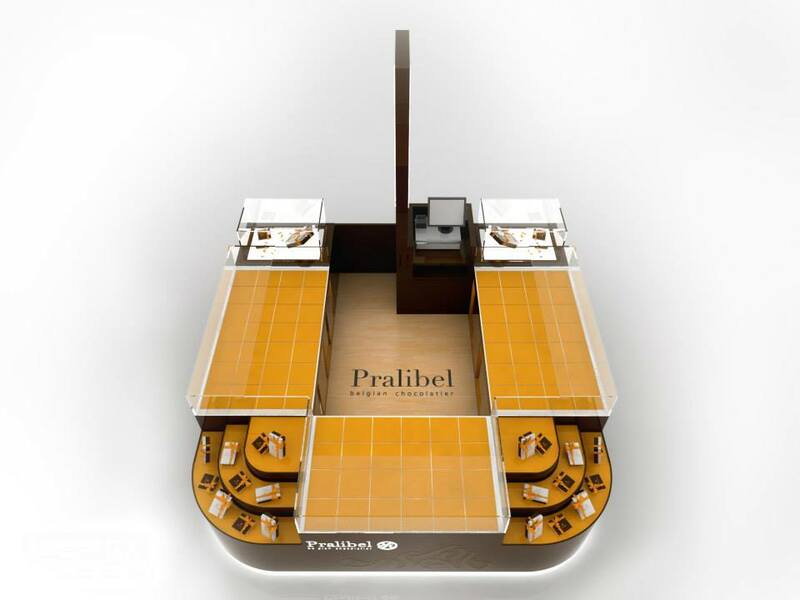 Over the past 15 years, we have finished hundreds of high-end gift kiosk all over the world. From the biggest cities to large shopping mall. You can easily find our project by your side. With a good quality but affordable cost display kiosk, you can save a lot in opening a retail business. and lower the risk in investment. So, when you planning to start a business or looking for display fixtures for your business. Check UNIQUEKIOSK.COM first and then make your order with confidence.